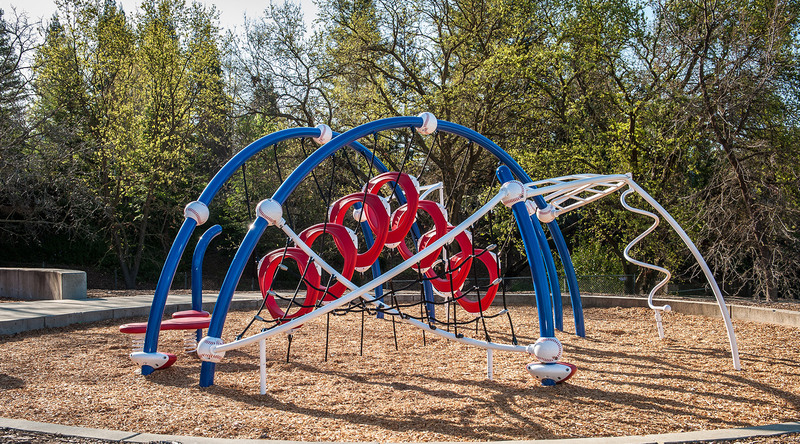 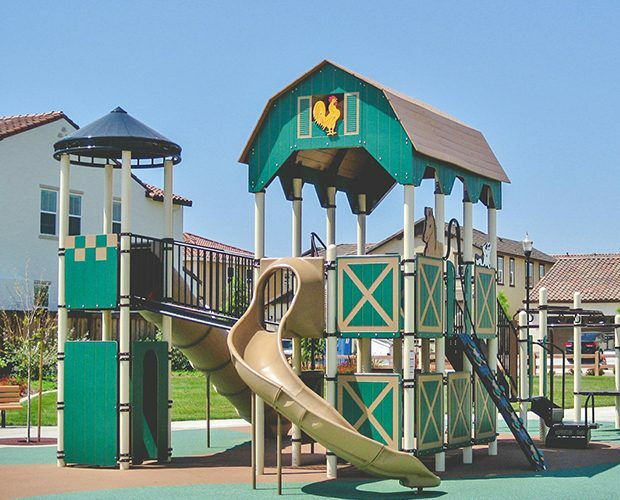 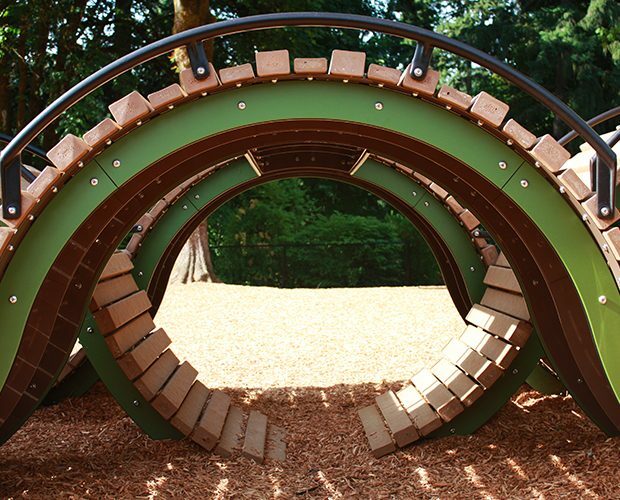 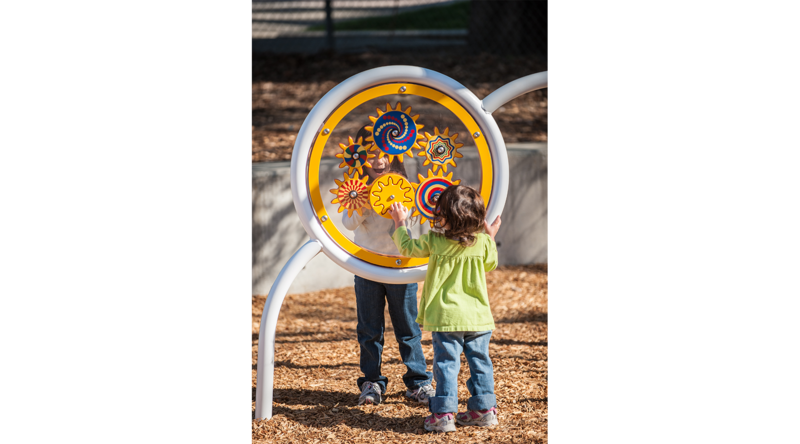 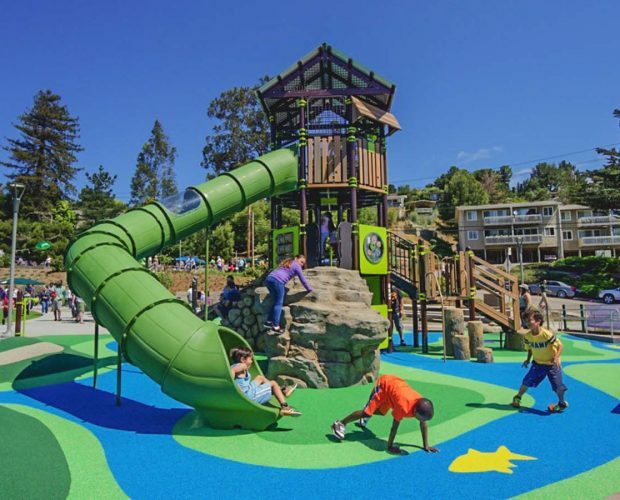 Set in pocket-like spaces along walking paths and baseball fields, Bernal Upper Field Park provides a variety of age-appropriate challenges with climbers, bouncers and slides. 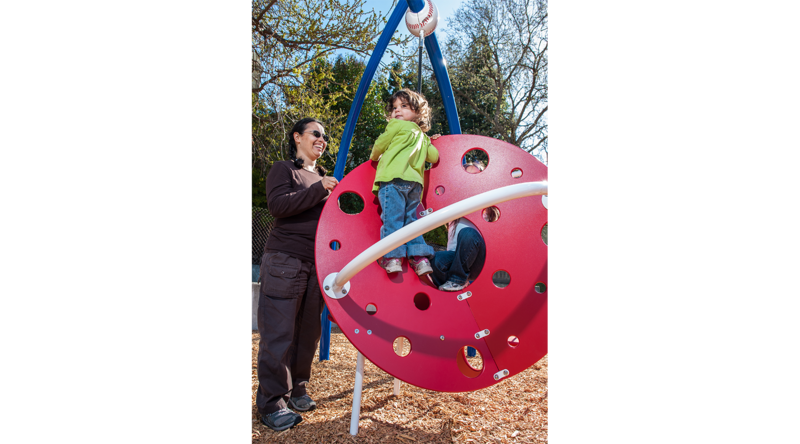 Once young kids are ready for more challenge, they can graduate from the Weevos® to the Evos® and engage in more play experiences like the spinners and bridges, to challenge balance and coordination. 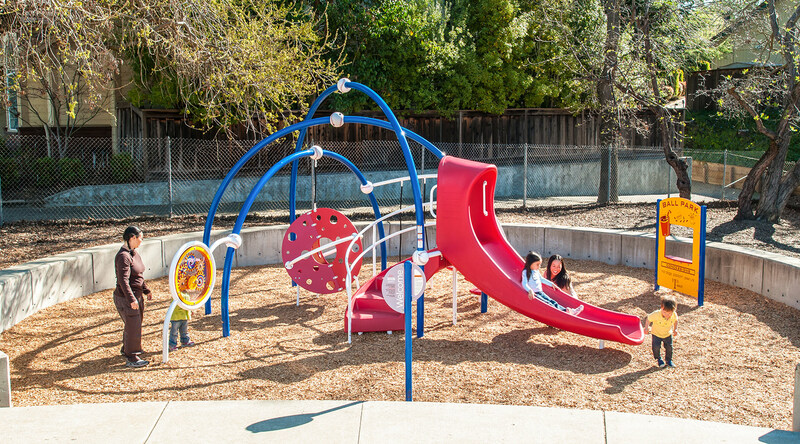 Kids of all ages will find plenty of fun at Bernal Upper Field Parks on their baseball-themed structures!